Irrespective of whether you're playing in a tournament or with the neighborhood friends, correct form of clothing is very important if you want to nail the game. Clothes that are ill-fitted, ragged or even old won't really do you any good. Hence, opt for compression wear or such sportswear that are made with performance oriented fabric. You should choose your clothes keeping in mind the type of activities you'll be doing. For sports that requires a lot of footwork like basketball, football, etc you should opt for shorts that are made with sweat-wicking material. Similarly, if you're training outdoors for a longer period of time, then it would be advisable to opt for clothing that is breathable enough. For women good sports bra can work wonders. Give your t-shirt bras a miss when you're willing to dedicate more than 2 hours into your favorite sports. Instead opt for such sports bra that has wide and supportive straps and waist band. You can also go for the stylish variants of the same, especially if you wish to use it with other types of smart wear. For runner as well as those people who do their sprints often, shoes can make a lot of difference. But even if you lift weight, then shoes that has enough cushioning on the soles can help alleviate the pressure in the back hence keeping the bodily equilibrium organized. For those people who are associated with hiking and love to practice in rough terrain, shoes with good gripping ability is something to look out for. 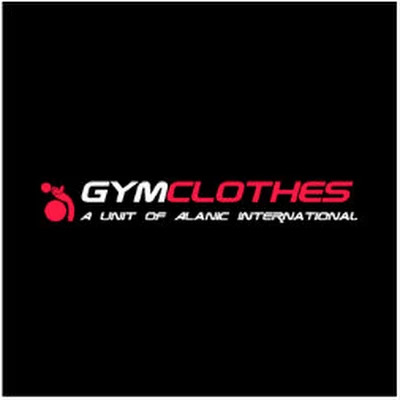 Sportswear business owners who want to include wholesale gym clothing in their shop can get in touch with one of the popular sports clothes manufacturers. All you need to do is have a look at the catalog to select the required pieces that meets your brand's aesthetic needs.